One regular admission ticket for an adult to the State Fair this year is $17. Children and seniors get in for $13. Unless you’re under the age of 3 (which means you wouldn’t be reading this) you can’t get in for FREE. A season pass will cost about $40, and one sheet of 20 coupons is $10. Another way to save a little change is to buy your fair ticket ahead of time online. Then it’ll be $14.95, as opposed to $17. You’re best bet for getting the biggest discounts on admission to the Texas State Fair is to go between Tuesday and Friday. 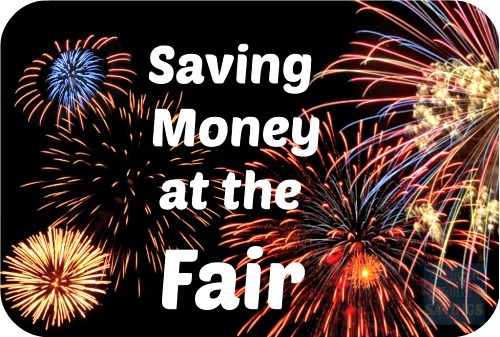 Here are ways to save money on admission to the 2013 State Fair of Texas!! Bring an empty Dr. Pepper can for $5 admission on Tuesdays, or $8 admission any day after 5 pm. Go see BIG TEX and head straight to the Midway on a Tuesday so you can hop on even more amusement rides because all rides (except for thrill rides and the Texas Star) are ONLY SIX COUPONS each – a savings of anywhere between two to six coupons (or $1-$3) per ride. Thanks to the North Texas Food Bank and Kroger, if you bring 3 canned goods (per person), you’ll receive $3.00 admission on Wednesdays. Help fight hunger in North Texas! On Coca-Cola Thursday, bring an empty 20-ounce bottle and get $6 admission in exchange. Every Thursday is also Senior Day, meaning fairgoers over the age of 60 get in absolutely FREE! On any other day seniors can still get $4.00 off admission. Also, save your ticket stub from Cinemark Theatres, bring it to the fair on a Thursday, and receive FREE admission!! Save money on admission every Friday, by using the special coupon offer on KISS-FM’s website for $5 OFF admission. Click here to get the printable KISS FM Fair Coupon!